Micky has been a resident of the Big Bear Valley for 18 years and has helped people find their dream homes in Big Bear since 2005. She has served on the Big Bear Association of Realtors Board as Secretary, MLS Chair, Strategic Planning Chair, and President. She served as a Director for the California Association of Realtors for 6 years and as Regional Chairperson for 2 years. Micky was honored by her peers as Big Bear Association of Realtors REALTOR OF THE YEAR for 2016. 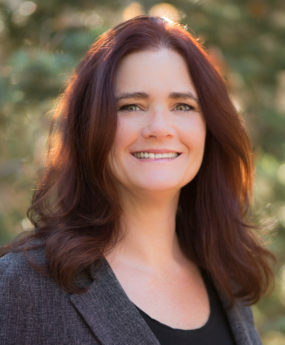 Micky is highly knowledgeable about the inventory in Big Bear and is an expert negotiator on behalf of her clients. Micky is the mother of 4 and has 5 grandchildren. She leads an active lifestyle which includes horseback riding, running, and riding dirt bikes and quads. She is also involved in various ministries.